Need a gameday/graduation/Double Decker/school visit place to stay? Let the “LandShark Lounge” be your home away from home. 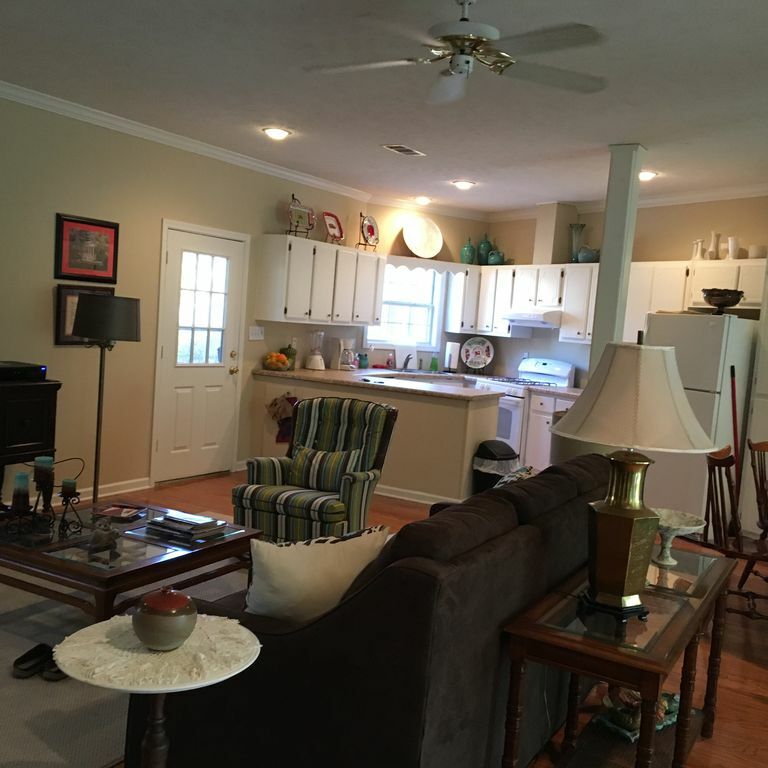 This charming 2 bedroom, 2 bath pool house bungalow is located in a quiet, established neighborhood that is 10 minutes from campus & the Oxford Square. It features a large great room that provides a wonderful place to relax and visit with family & friends. There is a large dining table that seats 6 comfortably. The bedrooms consist of one queen and one full with private baths. There is also a queen blow up mattress and a comfortable couch for extra guests. Other accommodations include a full kitchen with modern appliances & flat screen TVs in each room. Upon arrival, guests will find a “welcome” basket with delightful snacks for your enjoyment. We hope you enjoy your upcoming visit to Oxford. If there is anything we can do to make your stay more enjoyable, please don’t hesitate to ask. We love helping coordinate a variety of services for our guests.